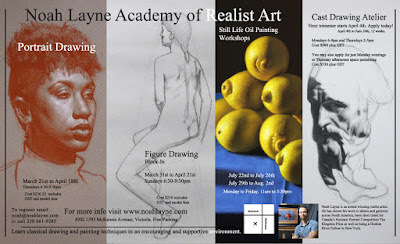 I'm excited about these upcoming classes! Check them out on my website here. Noah Layne (1979-) is realist artist who works out of his studio in Victoria, BC, Canada. I've been nominated for a Canadian Weblog Award! Noah Layne 2010. Simple theme. Powered by Blogger.